Are they the present embodiment of the “vehicle of the future,” or are they flawed death traps that could kill you or others at any moment as they traverse roads and highways? 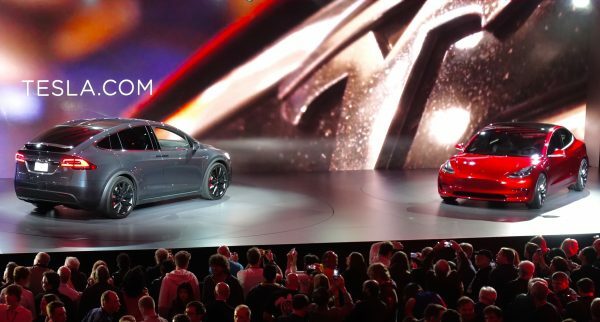 Many people are asking themselves this disturbing and dichotomous question after three Tesla cars reportedly crashed or exploded – or both in a single week’s time. The first Tesla incident of this trio occurred in Ft. Lauderdale, Florida, where a Tesla Model S experienced a “horrific crash” involving three young people. The vehicle reportedly slammed into a wall and caught fire, its lithium-ion battery bursting into flames. Several of the car’s passengers were apparently thrown from the vehicle, which resulted in two deaths and serious injuries for the others. A neighbor heard the violent crash and immediately ran out to see what was going on, only to discover the fiery inferno of epic proportions bursting forth from the electric vehicle. That same week, another Tesla Model S reportedly rammed into a stopped firetruck in Salt Lake City, Utah, while going 60 miles per hour. This particular Model S was equipped with Tesla’s semi-autonomous autopilot feature, though reports aren’t clear as to whether or not this feature was engaged at the time of the crash. Again in that same week, all the way across the world in Germany, yet another Tesla car experienced a horrific crash that, like the incident in Ft. Lauderdale, resulted in the vehicle bursting into flames on the A2 highway near the town of Bellinzona. The 48-year-old driver died after being trapped inside the vehicle, during which time he presumably burned to death. All three of these incidents were actually preceded by still a fourth incident involving a Model S in Austria that crashed and burned – though in that case, there were no fatalities. But the circumstances were similar to the other three incidents that occurred later, mainly that the vehicle crashed and immediately ignited into flames. Back in February, there was actually a fifth incident involving a crash and explosion of a Model S under similar circumstances in Indianapolis, which resulted in the woman driver and her boss both dying. Like the other incidents, there was simply no escaping the fiery inferno, which basically reduced the vehicle to a melted pile of metal and rubble. If the sheer destruction of each of these self-driving vehicles in similar high-speed crash situations isn’t enough to make the case against driverless vehicles, then probably nothing will. But an even bigger issue with these autopilot Tesla cars is their use of very large lithium-ion batteries, which really don’t belong on the road in volatile situations where they have the potential to explode. As explained to the media by the Bellinzona police department, the violent impact of these batteries with other solid material during a high-speed collision situation can cause them to experience a “rapid and unstoppable increase in temperature.” This causes them to explode, making them extremely dangerous, even in everyday driving scenarios.